Ok, so you’ve read my previous post on my not-so-great experience with Jessica Hollis-Brown, a fraudulent, so-called editor. I’ve had an enormous response from a lot of people, many of whom I’ve never met. This has restored my faith in humans. Along with this fantastic support has been a lot of good advice from people who have had a lot more experience in the world of getting a book edited, than I have. I am going to share that advice with you right now, and hopefully we’ll all be a little bit wiser and more able to side-step the evil minions of the literary world. The biggest tip I can give you, which I didn’t do, (excuse me for a moment while I slap my own hand) is to talk to other people who have used their services. Don’t be afraid to ask what other work they’ve done, and get the contact details for their clients. If they won’t provide them, walk away. Ask what their qualifications are—this, unfortunately, didn’t save me. She said she had a degree, which she very well might have. A degree in English, literature or anything else, is not a degree in honesty. Always pay with CREDIT CARD. I paid with paypal. Paypal doesn’t insure services, only goods. They said if I’d paid with credit card my bank could recoup the money. I, of course, direct debited money from my bank account to Paypal, so I wasn’t covered (I’m off to the naughty corner for my third misdemeanor). So, if anyone has any other tips they’d like to share, please do. I’d like to thank everyone who has sent me words of support; you are all the silver lining to this cloudy situation. Thanks also for helping to spread the word via Twitter, Facebook and Google. 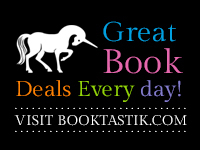 There is a wonderful community of writers and readers out there and I’m glad to be a part of it. Cheers and thanks for visiting. Ok guys, this is a post that I didn’t really want to do, but felt it was my only option. When I decided to self publish my book I wanted to do it right. The only way to do a good job was to get it edited. I chose someone I met on Twitter (yes I know not everyone on Twitter can be trusted). Jessica Hollis Brown, whose Twitter tag is @jbrowncr seemed nice and friendly. I sent her the first chapter, which she edited and sent back. It seemed ok.
We agreed she would edit my book. This was in December 2011. Before she did any more work she requested 50% of the money upfront, which is perfectly normal. What isn’t normal, is that after I paid the $400 I didn’t receive any more of my edited manuscript. As time went by I emailed and it usually took 3 of my emails to get one back. Then the excuses started: from “my computer cord broke” to “my husband had an epileptic fit” to an email from her ‘husband’ which told me she was in hospital with pneumonia, even the fact that she had to travel out of town to attend a friend’s funeral. I don’t know if I’m naïve, but I gave her the benefit of the doubt. By March I was sick of it so I told her she had one week to send me the manuscript or I was cancelling our agreement and wanted my money back. Of course I haven’t seen the manuscript or one cent of my money. She offered to pay it off in installments, about a month ago, but nothing has come through. I sent her an email over a week ago, telling her the only option I had left was to tell everyone about my experience. I haven’t heard back from her, surprise, surprise. So this is just to let you know my experience. I am very disappointed and $400 poorer, money I can ill afford to lose. But I guess some people are dishonest and I was unlucky enough to find one of them. So just a warning, because there’s nothing else I can do. Paypal cannot get my money back and because I didn’t pay with credit card the bank can’t help. I’ll be more careful next time, but that’s little consolation now. Her website is http://jessiebincr.wordpress.com/category/creativity/ and she is on Facebook. Sorry to be a Negative Nelly but I want to make sure I save someone else the trauma of losing so much money. If Jessica wants to pay me back, I will gladly take this post down, but until then, it stays. UPDATE 25th July, 2014: She is active again as Jessica A Hollis. Authors, beware. This is her Facebook profile https://www.facebook.com/jhollismomo4/about. She may end up making it private when she finds out about this, but as long as everyone is wary of her, my job is done. Hello everybody! This week Amber and I are on our lonesome, but we don’t let that stop us. More laughs, more talk of bottoms, tattoos, Amber’s racy new short story, and we start it all off by, you guessed it, laughing 🙂 Join us for another episode of Tweep Nation, we know you want to. This book is an exceptional example of travel memoir. 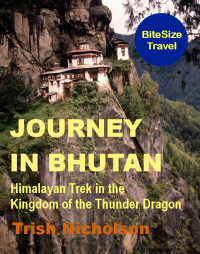 Trish Nicholson has recounted her trekking travels to Bhutan, a small country nestled against Tibet, which contains a rugged and spiritual landscape. Her story is filled with descriptions that make you feel as if you are sharing her journey over these amazing mountains—from the stomach-churning bus trips, to the precipices from which there would be no return if one slipped (and people apparently have). She deftly weaves in her personal journey, and that of her companions, with precision and humour. I found myself chuckling many times throughout the book at Trish’s anecdotes and observations of the people she was travelling with. The book also gives a very well researched background to this place, and is a must for reading if you are planning a first-time trip there. The writing is exceptional—Trish’s style clean, descriptive and metaphorical, paralleling her journey with that of the ancient streams that course through the mountains. Her recounting of the history adds to the atmosphere of this mystical place. This is an intelligent, thoughtful and entertaining book that I highly recommend. I’ve given it 4.5 snowflakes. Today Scott Morgan joined us for his second time on the Tweep Nation merry-go-round. Scott told us about his writing workshop happening in two weeks in Dallas, and we talked Twitter #constipationsongs hashtag and monkey butts. So sit in a safe place, not too far from the ground (you may fall off your chair), and get ready to laugh. Wow! On today’s Tweep Nation, Amber and I interview Michelle Franco, but there’s a twist. My birthday is occurring next Thursday and Amber decided to throw me a love fest. Things kicked off with Miss Michelle, awesome author of Where Will You Run, reading her This is Your Life dedication to me – I almost cried. Then Amber read me messages from all over the world (ok excuse me while I feel all important for a minute). I’d like to take a moment to say thanks for all the fantabulous birthday wishes – this is one birthday I will never, ever, ever forget. But don’t worry, we go on to talk about passing wind, assholes who don’t say sorry when they bump into you, and crying when your husband eats all your muffins. This week our guest on Tweep Nation is author and editor Tonya Cannariato. Her new book, Dust to Blood (Red Slaves) is out, and we chat about this urban fantasy (which yours-truly edited) and other weird and wonderful things (such as balls). So join us for more laughs, swearing and the usual rowdiness that Amber and I wallow in (yes, just like pigs in mud).